You may remember back at 2009’s Art Basel in Miami, we became enamored with the work of SF based artist Laura Ball. Well, we are delighted to learn that she will be showing a new body of work entitled “Growing Pains” at the David B. Smith Gallery in Denver alongside Ryan McLennan at the end of the month. 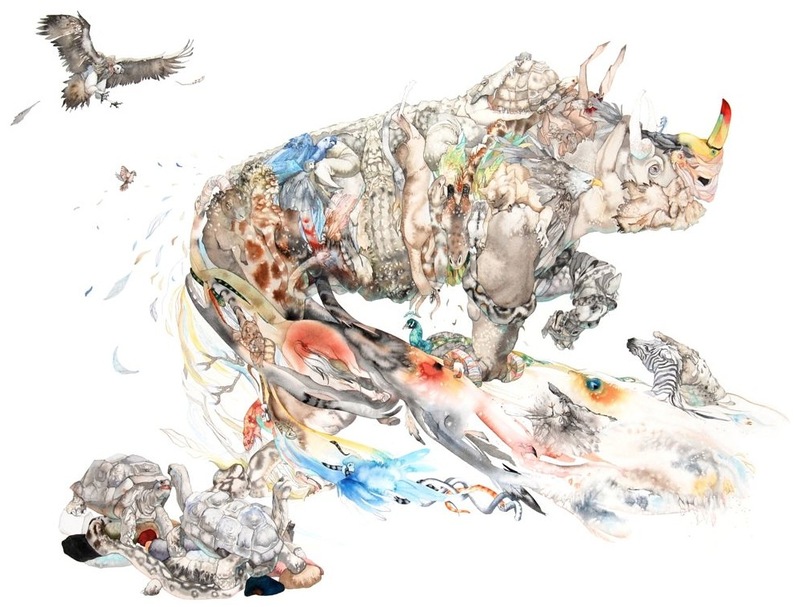 We’ll have more to follow but for now, enjoy this complex animal assemblage painting from the upcoming show. Categories: Contemporary Art, Shows & Events, Teasers. Tags: Contemporary Art, Laura Ball, Shows & Events.